One does not have to do extraordinary actions to be extraordinary. It's the simplest gestures, but filled with thoughtfulness, that are indeed extraordinary. 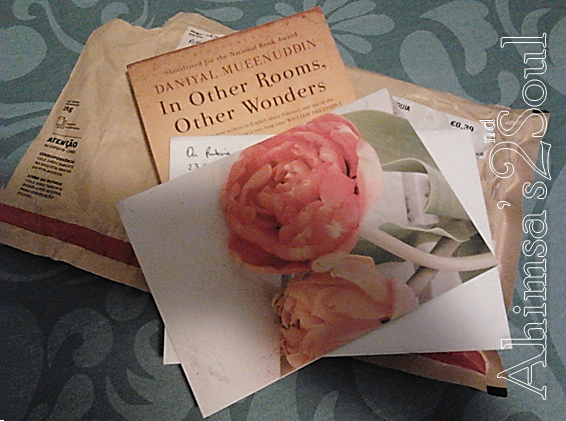 To get a fat envelope with a book, from someone whom I've met only twice filled my day with extraordinary joy and humbleness. Thanks Ruby for your contribution to my Summer of Reading Immersion.